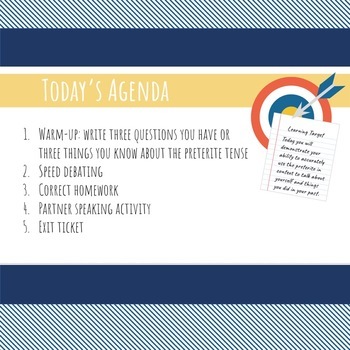 Let your students know what to expect each day and avoid the ever-so-annoying, "what are we doing today?"! 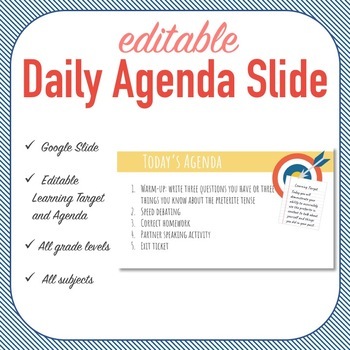 This template is an editable Google slide and has a place for your daily, weekly, or unit learning target as well as your daily agenda. Google slide link included in PDF download. Template is great for all grades and all classes!